Blink XT Home Security Camera System | Nerd Much? This camera will send you a short clip of whatever triggered the motion detector. 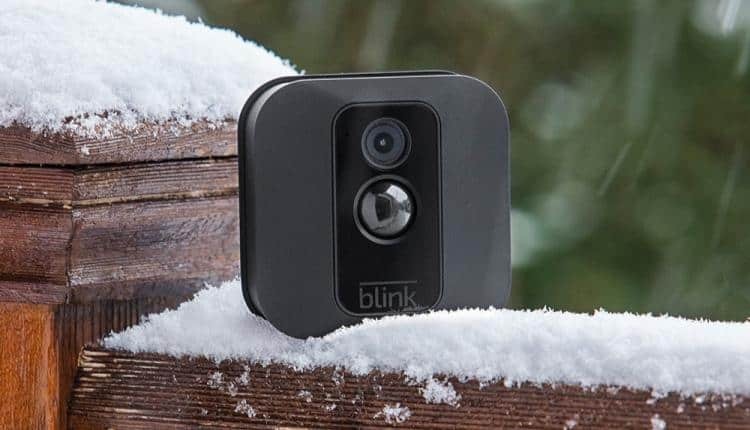 The Blink XT Home Security Camera System is good for both outdoor and indoor use. You can literally mount it anywhere you like, due to the small mount that comes with it and its ideal size. It measures at 7.6 by 6 inches, an almost square that is 2 and half inches thick. It’s not heavy either, weighing only a pound. That isn’t even to mention the many functions of this camera. It features a motion detector, a very long lasting battery, and a wireless smartphone connection. The motion detector has a built-in alarm that will not only alert your phone, but send you a short clip of whatever triggered the alarm. With this camera’s wireless connection, all these videos will be stored in a cloud built specifically for this technology. You’ll never have to worry about these videos and records taking up room on the camera or your phone. This entire system runs on only two AA batteries and those will last you a solid two years. That’s just how efficient this camera is. The camera will also last through some fairly low temperatures, though it is not mentioned exactly how low. Meaning it probably won’t last through a full weeks worth of -40C, as most things can’t. The quality of video this camera records is on point too. No more grainy footage of your front driveway, or wherever you plan on placing this system, even at night. However all Blink mentions is that the camera is HD, they do not include information on pixel resolution. You can also sync up the Blink XT Home Security Camera System with an app on your phone or with Amazon Alexa Skill. Alexa is of course voice activated and controlled, so you’ll have even more control if you couple these security technologies. So whether you want to catch which neighbour is siphoning your gas again, or just want to make sure your pets are safe while you’re gone, the Blink XT Home Security Camera System is for you.